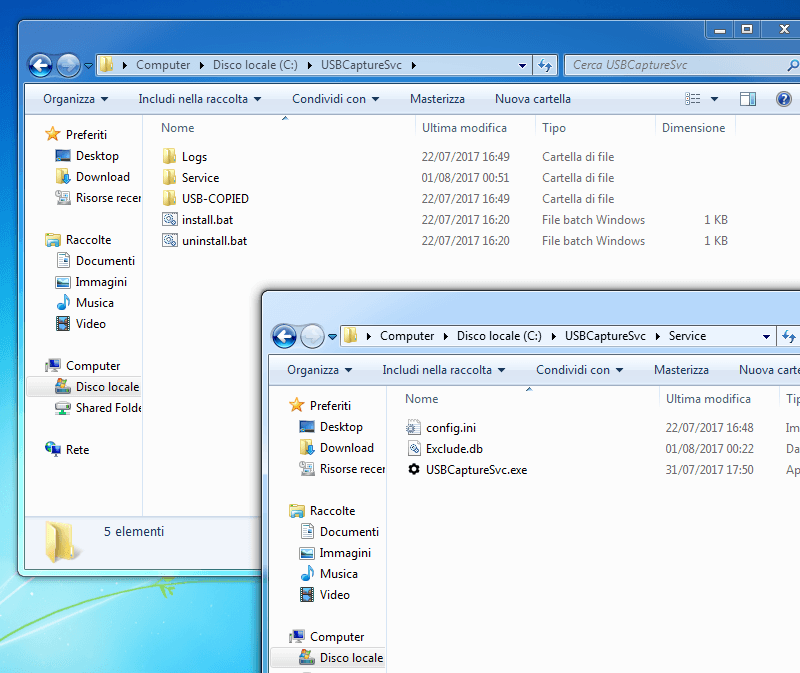 USB Capture is a service-only application that captures\copies all data (files and folders) from an USB to a local folder immediately after the USB device is plugged-in, keeping the same folder structure. You can exclude specific USB devices (by Device ID) so they will not be copied to the local folder. 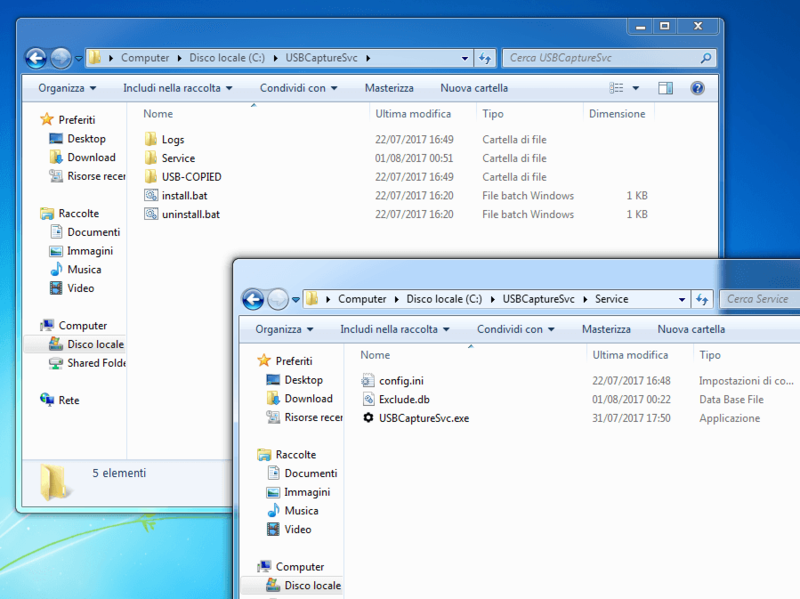 This application is useful to have a copy of every USB devices also on the local PC or in case an intruder plugs-in an USB on the PC, this program will capture all files from its USB device. When you eject the USB device via the tray icon you may get the warning message “Failed to eject the USB device because it is in use by another program” if USB Capture is still copying the files from the USB device. Unfortunately Microsoft doesn’t make things easy and our program may not be always notified when you want to safely eject the USB device via the tray icon, read more here: DBT_DEVICEREMOVECOMPLETE event. So what you need to do is just unplug the USB device manually. Automatically copy all data from a USB device as soon as it gets plugged-in. You can use wildcards to exclude specific USB devices from being copied.